Berklee College of Music is a four-year undergraduate college with over 4000 students enrolled at its Boston campus. 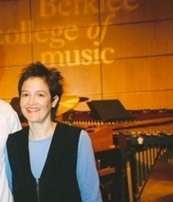 The Percussion Department consists of 40 faculty members and about 600 students. In the summers, there is a 12-week program, a 5-week program, and short festivals focused on various instrumental areas including Percussion. Berklee as a whole encompasses: Berklee College of Music (Boston), Berklee Valencia (Spain), Berklee Online, Berklee City Music, and Boston Conservatory at Berklee. Each member of the percussion faculty teaches in a specialized area. A student's "principal instrument" can be Drum Set, Hand Percussion, Orchestral Percussion, Marimba, Vibraphone, or Steel Pan. 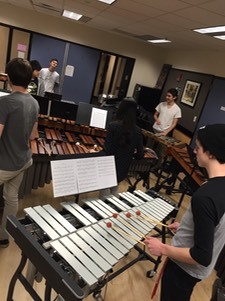 As far as we know, Berklee is the only institution in the world that offers specialized study in marimba at the undergraduate level. Students can major in Performance, Film Scoring, Music Production and Engineering, Music Business/Management, Music Therapy--to name a few.